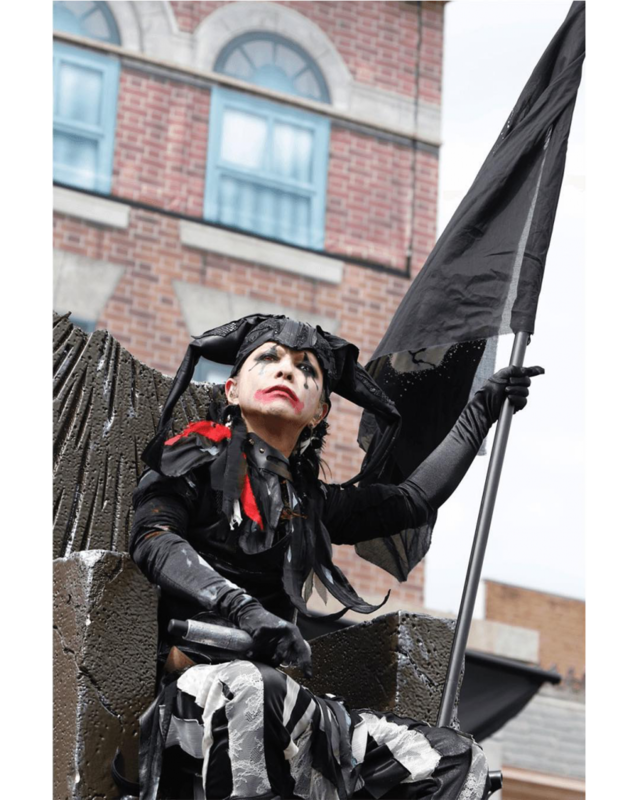 Temperatures maxed out at around 86°F – or 30°C – on Saturday during day one of HYDE’s spooktacular Halloween Party shows at Universal Studios Japan. It seemed the Kansai region of Japan had not yet gotten the memo that Halloween season is upon us, but day two on Sunday was considerably cooler but still balmy. HYDE came out in full jester’s motley, but with a distinct gothic twist. The support members were dressed in Alice in Wonderland-themed costumes in direct connection to the strong imagery present in the music video for HYDE’s newest single “FAKE DIVINE”. One particularly amusing highlight came early in the show when HYDE was complaining of the heat of the and how it seemed to be affecting his concentration. “It’s so hot. I keep on almost saying ‘USA’ instead of ‘USJ’.” He then broke into a brief, but hilarious series of dance moves made familiar from DA PUMP’s hit ‘USA’ earlier this year, to uproarious applause. The brief, one-hour show was energetic and even featured Halloween-themed Sesame Street and Minions mascots come onstage to dance along with HYDE during the now-iconic “Halloween Party”. If even a small amount of the playful energy of the performance carries over to the upcoming three shows at Makuhari Messe, it will an event you don’t want to miss. BUY IT NOW ON CDJAPAN!